Creating jewelry and repairing pieces such as necklaces, bracelets, pins and earrings is easy. All that is needed is the basic knowledge of how to use Findings (jewelry components). This manual teaches how to use the Findings correctly. 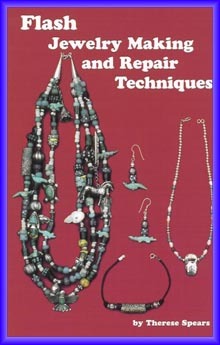 Also included are the basic Bead Stringing and Pearl Knotting techniques with various materials, and how to attach clasps for a professional look.